In the wake of the poorly-attended inauguration of the twenty-first century Siberian Candidate, a legion of journalists, pundits and opinionated political science majors have been speculating on precisely why President Donald Trump won the election. Opinions have flip-flopped as time has gone on, but one thing has remained: racism and sexism were remarkable indicators of the likelihood of voting for Trump. Even as Trump himself rails about an apocalyptic version of America’s economy to his fanatical followers, the “economic hardship” argument has been debunked by nearly every metric. Indeed, Hillary Clinton won the vote among poorer Americans. But that argument is ignoring the common denominator between Trump’s core Alt-Right base and the blue-collar workers who broke for him in the Rust Belt: anti-globalism. At the heart of anti-globalism is economic anxiety. Some have argued that this is an important factor in order to explain the Trump ascendency. Economic anxiety is different from economic hardship in that it afflicts those whose prospects may be decent at the present moment, but have fear for the future. This often manifests as nostalgia for the past, as exemplified by the “Make America Great Again” slogan. For a segment of America, globalism and globalization have spelled doom for their lives. Increasing trade and technological advancement have left swathes of the country in stagnation, even as the overall economy has grown. This is a reality for the typical American worker and the American middle class: productivity has nearly doubled since 1973, while wages have stayed stagnant. Imagine not getting a raise for forty years while working twice as hard and trying to be happy about it. Empirically, globalization and technological advance together have led to massive gains in the world economy, lifting a billion people out of extreme poverty since 1990. 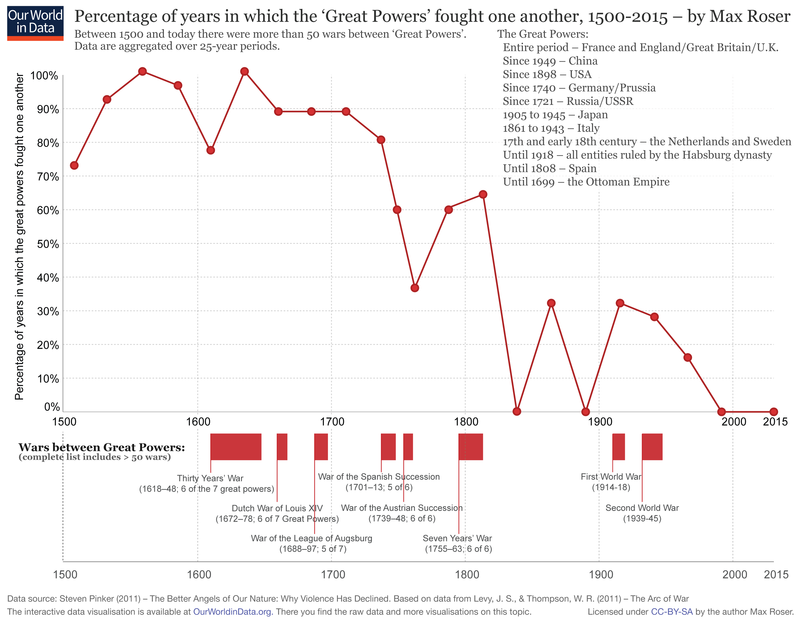 This growth has been shared by all except those in the 75th through 95th percentiles of the world economy—in other words, the middle class in Western society. This gap, shown in the famous “Elephant Chart” by economist Branko Milanovic, is now all the rage in certain journalistic circles and is critical for understanding why the typically Democrat-leaning blue collar vote switched sides in 2016. In the wake of this trend, how does one fight this anti-globalist tide that has swept into the U.S., the UK and now potentially France and Germany? First we must turn to history. Believe it or not, we are not living through the first wave of globalization, nor its first backlash, as economists Kevin H. O’Rourke and Jeffrey G. Williamson note in their seminal book Globalization and History. Globalization’s infamous wage “flattening” effect is described as part of the Heckscher-Ohlin model of trade. 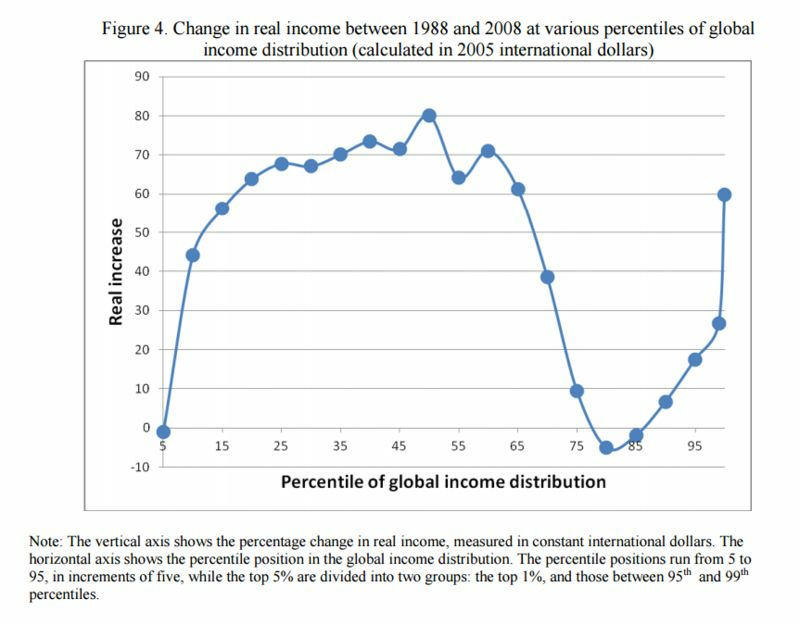 In short, Heckscher-Ohlin dynamics describe the effects of trade on income distribution in economies. Wage convergence among trading countries, for example, is a common prediction of such a model—and a point of consternation for particular population segments in the Western world. The eventual effects of Heckscher-Ohlin dynamics led to massive backlash against globalization in most of continental Europe in the nineteenth century. As O’Rourke and Williamson found, “The turning point came in the late 1870s and 1880s, when the impact of cheap New World and Russian grain began to make itself felt in European markets” (O’Rourke and Williamson 95). In the case of Britain, this was a boon for workers due to the nature of their economy. It is no surprise that during this era, democratic Britain remained one of the few free-trading economies. In contrast, less competitive economies like Germany and France turned to protectionism—as well as authoritarianism—as their economic interests felt threatened. Bismarck’s empire of blood and iron became one of protected barley and rye. To ensure a return to a united and multilateral America, it serves those on the left not to merely scream “racist” and “sexist” at those who voted for Trump. After all, racism, sexism and general bigotry are often entangled with economic anxiety and fear. The left can no longer take the blue-collar vote for granted—it must reach out to those already displaced by globalization and those fearful of being discarded. In order to ensure a return to American political dignity, combating this fear is imperative. Although history may not always repeat itself, it often rhymes. Let this era not be a piece of dark poetry. The views expressed in this piece do not necessarily reflect the views of other Arbitror contributors or the views of Arbitror itself. Photo: “Donald Trump,” Originally taken by Gage Skidmore with a CC license. Use of this photo does not indicate an endorsement from its creator.